If you’re around Richard Sykes for five minutes and don’t crack a smile or double over laughing then you probably don’t have a pulse. It’s open for debate whether Sykes saw more one-putts or fired off more one-liners in his 46 years as men’s golf coach at North Carolina State. What is fact is the 72-year-old Sykes couldn’t have enjoyed himself more in his four-plus decades at the Raleigh school, making a sometimes tedious and stressful game competitive yet enjoyable for his players and contemporaries. Sykes will retire at the end of the spring season, leaving behind quite a legacy. Penley still laughs about the time Sykes tricked him on his recruiting trip to N.C. State, telling him he would be going to a Wolfpack basketball game against Nevada. Penley, who ended up playing college golf with the Tigers and has coached them for more than three decades, assumed he would be getting to watch powerhouse UNLV. Nope. It turned out to be Nevada Reno. Sykes didn’t win the most Atlantic Coast Conference titles or coach the most All-Americans during his time at N.C. State, although he did mentor some of the golf’s top professionals in Vance Heafner, Tim Clark and Carl Pettersson. What Sykes did manage to do was accomplish a difficult balancing act between the course, the classroom and producing classy young men. Sykes would likely describe himself as just a North Carolina country boy. That Southern cultural difference certainly didn’t hinder his ability to mentor golfers from around the globe, whether it was the Swede Pettersson, or fostering a South African connection that produced Clark, or a more recent Canadian pipeline in which Matt Hill, whose eight wins in 2009 under Sykes tied the NCAA record held by Tiger Woods for individual victories in a season. Sykes graduated from N.C. State in 1968 and took over the golf program three years later with a starting salary of $200. 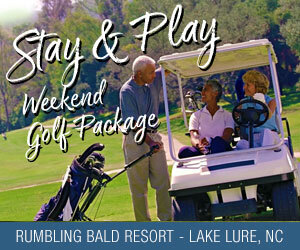 He has never left, among other things helping usher in the construction of the school’s own golf course – Lonnie Poole Golf Club – and with it a sparkling new golf facility. Sykes has led the Wolfpack to 23 NCAA regional appearances, 12 appearances in the NCAA Championships and the 1990 ACC Championship. During his tenure, Sykes had 47 All-ACC selections and 34 All-Americans, and was inducted into the Golf Coaches Association Hall of Fame in 2001, proudly wearing the ring he was awarded. “I’ve got several championship rings but this one is everybody’s ring because I didn’t hit a damn shot,” Sykes said. 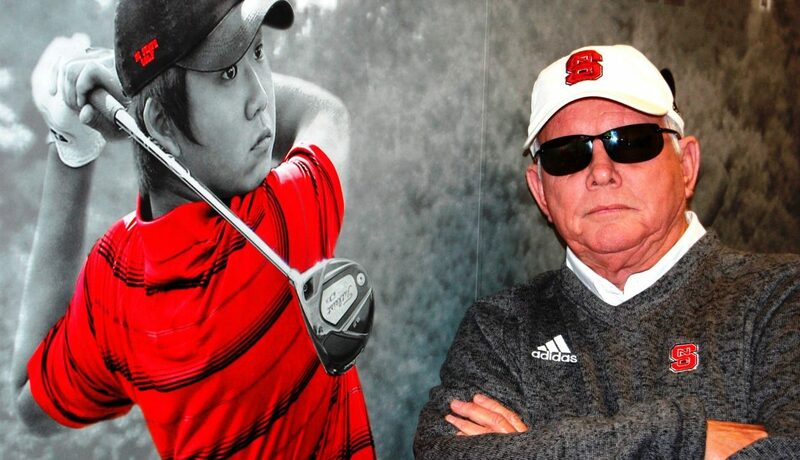 Ara Parseghian called Sykes on his home phone his first year as N.C. State golf coach to inquire about a player coming to play golf in Raleigh. Sykes didn’t believe it was actually the legendary Notre Dame football coach. “I picked up the phone and he said ‘This is Ara Parseghian. I said, ‘Well, you’ve got George Washington on the phone.’ He said, ‘No, no, really and I’ve got a golfer here and I said, ‘How about sending us some football players, we could really use some.”’ It really was Parseghian. Sykes if a dead ringer for famous golf instructor Butch Harmon. So Sykes and Pettersson decided to play a joke on fans at a recent Wyndham Championship. The PGA Tour pro started calling his former college coach Butch in front of fans and word immediately spread through the crowd that Harmon was in attendance. “I signed ‘Butch’ all the way to the car. We both couldn’t stop laughing about it,” Sykes said. Fixing a player’s angle or alignment wasn’t necessarily the strong suit of Sykes. His approach to college coaching was more mental than physical, more practical than posture. When the final shot is hit for the Wolfpack this spring, Sykes will say goodbye to a job he loves. However, he won’t say good riddance to the game or the school that molded his life.